Since 1977, Mil Packaging has been a family-owned and operated business specializing in all aspects of military packaging requirements. We cover all of the bases in packaging, marking, RFID Tagging, invoicing, and Shipping Information Systems. 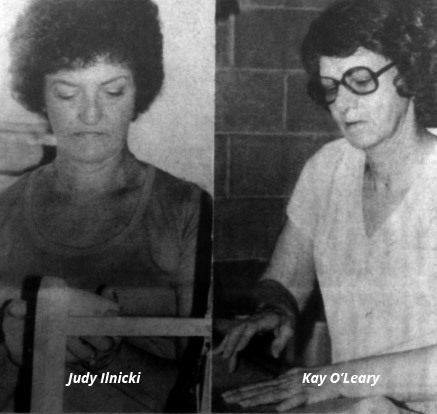 Mil Packaging was formed in the late 1960s by two sisters, Kay O’Leary and Judy Ilnicki. The sisters worked together at a local contract packaging company and lost their jobs when that company was sold and moved out of state. They decided to start their own company, this during a time when women-owned businesses were rare. Despite the difficulties they persevered and Mil Packaging was born. Since the beginning, their families have been a big part of the company. Their children worked at the shop after school and during summer breaks. The tradition continues today with Judy’s son Frank and Kay’s daughter Cathy. Mil Packaging continues to grow and while many of our customers have been with the company since it started, new companies are finding Mil Packaging an excellent source in dealing with their Military Packaging requirements.